COLLEGE STATION, Tex. –Twelve Days. That’s all that remains of the 2018 Ole Miss football season. In those 12 days, the Rebels will play three games, starting with today’s contest against Texas A&M at Kyle Field—a place where previous Ole Miss teams found success as they defeated the Aggies twice since the maroon and white joined the SEC. This year’s rendition of the game, the 11th meeting between the two schools, is a matchup between two teams with the same overall records (5-4). A&M, however, sits 3-3 in conference play, while the Rebels find themselves at 1-4 in league action. As Coach Matt Luke says of this time of the year, “They remember what you do in November.” Historically, the 11th month has not treated the Aggies so kindly, as they possess a 4-12 SEC record in November since the 2013 football season. But keep in mind, the new-look Aggies have head coach Jimbo Fisher at the helm now, a $75-million coach who has been solid in the month of November and who owns a national championship ring from his time at Florida State. Here’s a preview of what you can expect from each team as we head into this all-important game. The Aggies have had their fair share of ups and downs this season. They put up a solid 23 points on No. 1 Alabama, and lost only in the closing seconds of the game to No. 2 Clemson, 28-26. They were able to notch three SEC wins in a row against Arkansas, No. 13 Kentucky (OT), and versus South Carolina in Columbia. While it is true that they were able to compete at a very high level before the middle of October, the Ags also came up short twice in a row—on the road against a Mississippi State and in Athens against Auburn team this past weekend—to give them two consecutive SEC losses. While their recent struggles may bode well for an Ole Miss team in search of its second conference win, the Aggies still bring to the table one of the more talented teams in the league, boasting a solid running game and a tremendous defensive unit. Earlier this week on the Wednesday SEC Coaches Teleconference, Coach Luke talked about the upcoming game. “There are 15 days left in our season and we’re just excited about another great opportunity to go to Texas A&M,” he said. On the offensive side of the ball for the Aggies, there is one name you need to get used to hearing—Trayveon Williams. The junior running back out of Houston has quietly become one of the most versatile and consistent players, not only in College Station, but in the SEC. Williams is on his way to a 1,000-yard season, bringing 931 yards rushing into the game with Ole Miss. He’s also tallied 257 yards receiving this season, making him one of the most effective backs in the SEC with a league-leading 1,188 all purpose yards. He has scored a total of 11 touchdowns this season, while also averaging an impressive 103.4 rushing yards per game. If you want to beat this Texas A&M team, you need to start by putting a dent in Williams’ production. While Trayveon is the player to watch on the Aggie offense, it is the play-action pass that he and his quarterback, Kellen Mond, utilize that can really surprise a defense if it is thinking “run-first.” While many tend to focus on the ground game of the Aggies, Mond has showed he is no slouch through the air. He has thrown for 2,252 yards with12 touchdowns to his credit. Mond is also a competent and shifty runner who has rushed for 288 yards and 4 touchdowns on the ground. 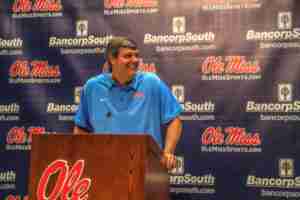 Ole Miss defensive coordinator Wesley McGriff described what the Aggies will face with Mond and his offense. A&M tight end Jace Sternberger has accounted for not only the most receiving yards on the team, but also the most receiving yards by a tight end in the entirety of the SEC. With 568 receiving yards and 6 touchdowns on the season, the big 6-foot-4 Aggie has been a key component of their passing attack throughout the whole season. Fisher’s offense has been effective at using its strong running game to put themselves in situations where the defense will overload the box and lose the tight end in the fray of the action, allowing him to have a large amount of production in key spots of a game. The Aggies also bring with them a solid receiving core in Quartney Davis and Camron Buckley, who have each caught for north of 380 yards and combined for three touchdowns. 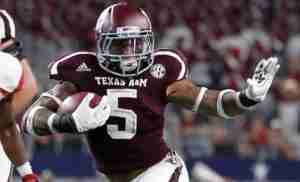 Moving to the defensive side of the ball for the Aggies, it is hard not to notice their incredible size and talent. You don’t have to look further than this incredible number: 81 rushing yards allowed per game. That is the best in the SEC and No. 2 in the nation. They are able to do this with a pair of senior defensive linemen who have combined for 72 total tackles and 12 sacks. Kingsley Keke and Landis Durham bring a ton of experience from their first three seasons together and are making their senior seasons ones to remember. Each ranks in the top 10 in the SEC in sacks, and they bring to the table a level of physicality and technical skill that is rarely seen outside of the top programs in the country. In addition to the incredible duo of Keke and Durham, the A&M linebackers are quite solid, led by standout senior Otaro Alaka. The veteran LB has accounted for 53 total tackles thus far this season, notching an impressive 9.5 tackles for loss. Olaka, along with senior defensive back Donovan Wilson (43 tackles) and linebacker Tyrel Dotson, are the glue that holds the defense together. Defensive coordinator Mike Elko’s unit stacks up as one of the best groups in the league, and even though they are not quite on the level of Alabama (granted, nobody is), this is a defensive unit that is built to hurt you up front with everything it has. After Wednesday’s practice, Coach Luke discussed the Aggie run-defense. ”They’ve got good players, first off. That’s the first thing that really stands out; they’re big and fast,” he said. “They also have a good scheme. They always add an extra hat in the box through different ways, whether they’re playing a trap corner or fitting a safety in the box or bringing an extra linebacker. They do it different ways. They do a very, very nice job with that. They have some length at corner, so they can play some man and some single-high coverage that allows them to do that,” he added. Let’s now flip the field and focus in on the Rebels, who could use a big road win to give them momentum for the final stretch. Remember, also, this is a big game with respect to recruiting, as Texas is a hotspot for an Ole Miss team that already has 12 Texas natives on its current roster. Matt Luke noted earlier this week that many top targets tend to head from Texas to Ole Miss, including Greg Little and wide receiver DaMarkus Lodge. There is a lot to love about offensive coordinator Phil Longo’s offense. 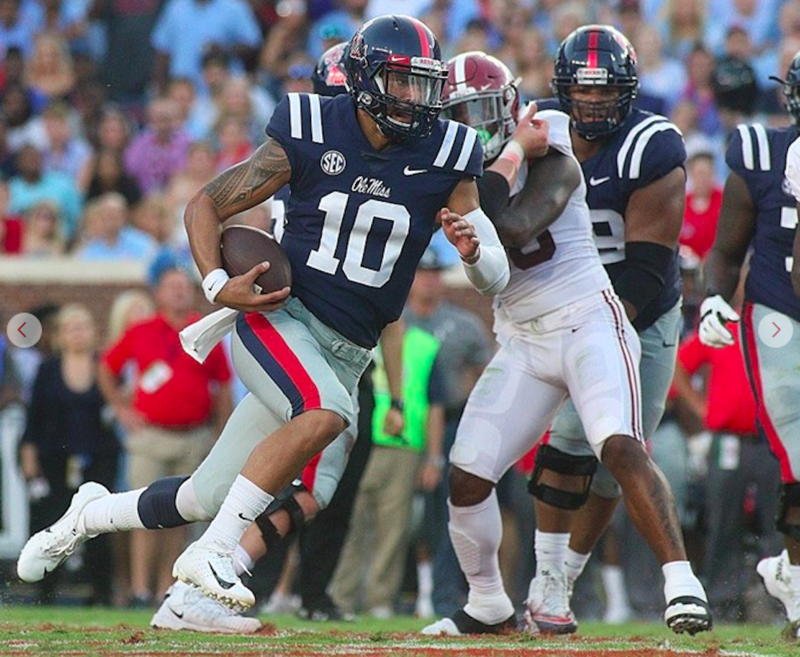 To start with, senior QB Jordan Ta’amu currently leads the SEC and is ranked in the top 5 nationally in passing yards per game, with an impressive 333.4 yards per game average. He eclipsed 3,000 yards through the air last weekend against South Carolina (3,001 yards), which also puts him in the top 5 in the country in that category. 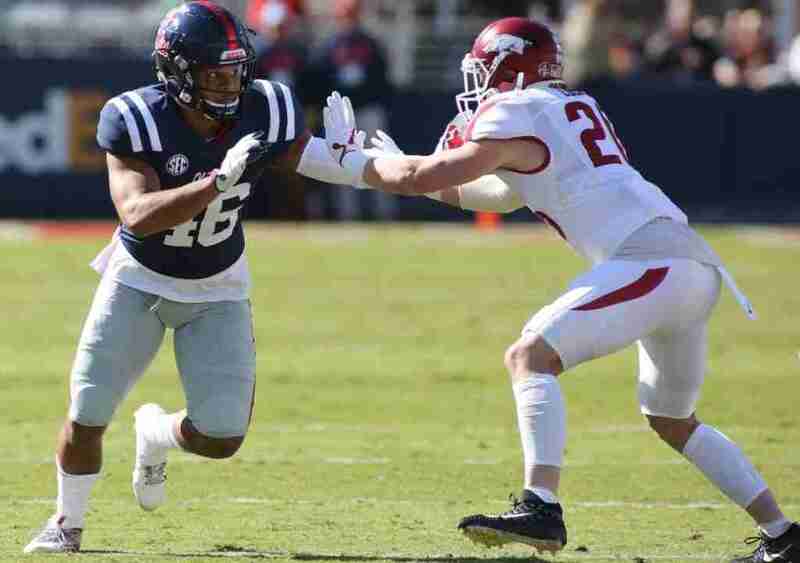 Ole Miss fans caught a glimpse into the future of the receiving corps as true freshman Elijah Moore had what essentially was his coming out party against South Carolina, picking up 129 yards and 11 receptions—breaking the Ole Miss freshman records for yards and receptions in a game. Scottie Phillips is 77 yards shy of reaching 1,000 on the season. While the Aggies’ Trayveon Williams is a great running back, Ole Miss has its own elite rusher who sits just behind Williams, statistically, in Scottie Phillips. In nine games, the highly-touted JUCO transfer has amassed 923 yards on the ground, accompanied by a league-leading 12 rushing touchdowns. Phillips will take a 6.3 yards-per-carry average into the game against the Aggies’ physical front. The Rebels offensive line is experienced and includes the above-mentioned Greg Little, a future NFL-er who is expected to declare early for the draft this coming spring, as well as the anchor of the line, center Sean Rawlings. “We have to play fast and play heavy,” Little explained. “Texas A&M’s defensive front doesn’t allow a lot of rushing yards, so we want to go into College Station and be physical with them,” he said. Moving on to the Landshark D, the defensive line sports NT Benito Jones (23 tackles, 6.5 TFL), DT Josiah Coatney (39 tackles, 3 TFL) and DE Qaadir Sheppard (38 tackles, 8.5 TFL), who are all coming off of a solid performance against USC. These stalwarts look to make a stand against the Aggies’ highly-touted running game. Sheppard, the leading TFL man on the team, spoke to the media on Tuesday and discussed the game against A&M—along with his Broadway-worthy flop against Arkansas several weeks back. At linebacker for the Rebels, Mohamed Sanogo (76 tackles, 3.5 TFL) and Willie Hibbler (33 tackles, 3.5 TFL) are looking to build on a strong showing against Carolina. The rest of the defense, as far as the secondary goes, features pass defenders Myles Hartfield and Zedrick Woods, along with a first-time starter from last week, true freshman Keidron Smith who notched a pass breakup against the Gamecocks. 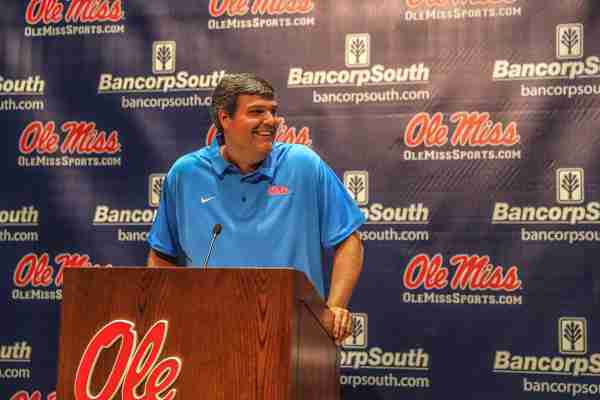 The Rebel defense will need to step up in order to slow down Mond, Williams and company. The unit came up with some big time stops last weekend against South Carolina, and we hope to see more of those today against the Aggies. This is a huge game for Ole Miss as the team returns to Texas for the second time this year after a season-opening victory over Texas Tech. The Rebels hope to leave the Lone Star State with a 2-0 mark for 2018 and momentum for their final twelve days together. The contest is scheduled to kickoff at 11:00 A.M. (CT) and will be Televised on CBS.